You’ve made the decision: it’s time to get a new car. Now you’ve got to decide on how to pay for it. You can either pay for the car in full, finance it or lease it. Let’s assume that you don’t have a pile of cash set aside for that first option. This narrows your choices down to two: leasing and financing. First, you apply for the loan for the vehicle, which an institution may or may not grant you based on your credit history. Once you get credit approval, you pay a down-payment toward the loan — usually at least 20% of the cost of the vehicle, - but you can put down whatever you can reasonably afford. The bigger the down-payment you make, the less you’ll need to pay per month. After you make your payment and sign all the appropriate paperwork the car is yours! You’ll just have to make monthly payments to the lender until you’ve paid back the full amount you borrowed. When you lease a vehicle, there are no loans involved. You establish lease terms based on how many months or miles you want to drive that vehicle (for example: 36 months or 36,000 miles at 12,000 miles per year). You make a down-payment and pay a monthly fee, just as you would if you were financing. However, the down-payment you make is lower when you lease, and your factory warranty covers the cost of typical maintenance issues that arise when you’re buying to own. When your lease term is up or you’ve reached your mileage cap, you must give the car back to the dealership and pay any excess depreciation or mileage fees (if any). The car also must look as close to it did when you got it as possible, so accessories you added have to be removed and permanent alteration or customization isn’t allowed. You may have the choice of buying the car at its residual value, but most people typically lease a different vehicle under a fresh term, or buy a new or used vehicle. If you’re living in a more suburban or rural town right now but expect to be moving to a crowded city in the next few years, you may decide that taking out a loan is not the right move financially. You’ll be locked into a longer-term payment plan, which may become a small burden. For example, you’ll have to regularly pay things like garage, permit and car insurance fees if you bring your vehicle into the city, all when it may be easier and more affordable overall to just use public transit. If you lease, you can drive the car that you need for the next 36 or 48 months and then cleanly return it before you move into the city. If you feel pressured or uncomfortable while making your purchase think about buying somewhere else. You should never purchase something in which you don't see the value. 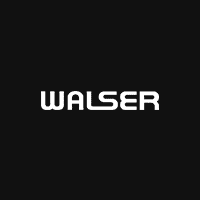 SO... WHAT MAKES WALSER DIFFERENT?